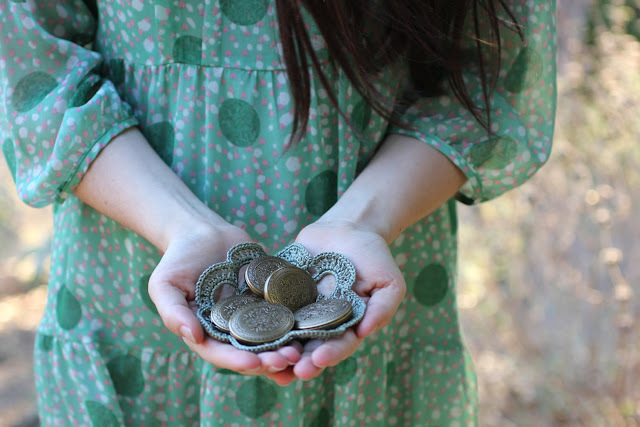 Here we find ourselves, once again, at the Etsy Artist once a month feature. Today I bring you a very special individual who I owe much gratitude to for helping me with my Etsy shop and awareness. She is a friend, a mother and a very creative hardworking gal. I bring you...drum roll please...Lori Patton of Heartworks by Lori. 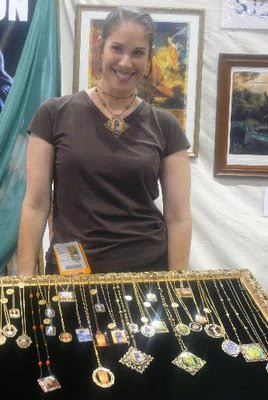 The picture above is Lori with some of her works of heart during the Comic Con in San Diego, California at Greg's booth. Almost all those pieces have since sold, however, if there is something your heart desires Lori can create it for you. She has created many custom items for me that I treasure. Lori is the sister of a dear buddy of Gregs, Brad Weinman. Brad came to Greg one day mentioning that his sister Lori was extremely fond of his artwork and wanted to create jewelry with it. After a few e-mails Lori came over for a meeting here at our little house in the woods and shared with Greg her ideas. Greg then shared his vision. Eventually the master-art-minds melded and Lori's line titled "Adorning the Muse" was born! When I saw how beautiful the pieces were I asked Lori to do some of my artwork as well. She most gleefully accepted and soon I too was part of the "Adorning the Muse" collection. Since then, Lori has opened a shop on Etsy which features some of the pieces from this line as well as the work she has collaborated on with other Etsy artists. Besides her talent as a jewelry artist and business woman Lori is also a mother to three very lively young lads and a wife to a very charismatic and handsome gentleman. Her life is indeed full!! The best selling item Lori and I have collaborated on is necklaces and lockets which feature the bee logo from my perfume company. (Pictured above) Currently we are working on a new project which I will share with you all shortly. If you are still on the hunt for a beautiful, unique, handmade item for Mother's Day, than Lori's work may be the perfect fit. See Lori's art jewely shop on Etsy here: www.heartworksbylori and her website here: www.heartworksbylori.com, find her on twitter here. Now...time for the interview, let's get kto now Lori a little better. The one thing that is most inspiring to me is the beauty of art, whether in illustration form or photography. I love to look at pictures and images that are profound and too deep for words. They invoke and stir up emotions within me that compel me to create. It's like diving into another world and I love to stay there and play. It transports me out of this reality and into a different one, a more creative one. I dream with my eyes wide open and create in that sphere. My favorite scent from the natural world would have to be lemon. I have a lemon tree in my backyard and sometimes I just pick one and hold it up to my nose and smell the beauty over and over and over again. I love how it smells even without cutting it open...it exudes freshness. If I were Queen of a village, I would wish for everyone to love one another and do that by serving each other. What better example of love is there than to prefer others and meet their needs? Think of how much peace and unity there would be if people wouldn't be caught up in selfish gratification, but focused on loving their neighbor as thyself...it's one of the greatest commandments, and as Queen, I would strive to set that example for everyone to follow. I started creating jewelry back in 1991 when I got tired of seeing such high prices for the jewelry I wanted to buy. I taught myself over the years how to make jewelry through trial and error and I've evolved over time. My styles change and grow as I do and I build upon techniques learned and create pieces that I personally love and would wear. I've always had a passion to make things with my hands and a little piece of me is infused into each piece I create. It all makes sense now that I look back and realize that there was a reason why I took Wood Shop, Metal and Plastics in school! It all prepared me for this amazing journey. 5) As a work at home mom of three young boys what tips can you give other work at home moms? Being at home with my boys is such a blessing! In order to run a business from home, I've learned the importance of prioritizing my time and schedule. Family comes first, so often times I'm up till after midnight finishing jewelry or packing up orders. I make sure I take care of them and then I have my 'fun time' with my business. Make sure you love what you do or else it will be just a duty void of joy. Having a disciplined schedule really helps so you're not tossed by a flood of unexpected orders or having to run errands last minute or anything else that comes your way. Also, use your business and practices as teaching opportunities for your children. I love to teach them about working hard and earning money for your labor and craft as well as how to take care of customers and other special details of running a business. Kids are smart and they pick up tons of information when they're exposed to it. I make sure to include them in part of my business, even if it's something as small as sticking a label on a bubble mailer...they'll feel special and gain a sense of worth and responsibility, which will be helpful as they grow older and join the workforce one day. Thank you so much Lori for sharing a bit of yourself with all of us! "Resistance" is beautiful in shades of brown, blue & green! This work of art is captured in an oval lace edged bezel and showcased on an exquisitely detailed antique oxidized brass filigree. Strung on a tiny brass rolo chain and secured with a spring ring clasp. Length- 16 inches. Begin by leaving a comment on this post mentioning your favorite item from Lori's etsy shop. You may only enter once and you must include your first name -and- etsy username or email address with each entry or it will not be included. The giveaway ends Thursday, May 14th at 1opm PST with the winner announced on Friday, May 15th. Hi, I love the "Simplexity" necklace, it's so serene. Hi Roxana: All of Lori's work is beautiful, but my favorites are the Green Bee locket (GBSMR) and the Soar Above the Clouds locket. I subscribed to Lori's newsletter, and of course, I follow your blog. Thank you for hosting another fun giveaway and introducing us to a wonderful artist! Hi Peggy, Lori is fabulous indeed! I love the Fleur-Paper Art Brass Pendant! Lauren, welcome, thanks so much for visiting and sharing your favorite with us. Oh, such a lovely feature on Lori! I love her necklaces, they are so beautiful! And Resistance was illustrated by you? Oh so pretty! The Letter M Initial Pendant Necklace is my favorite. I just got a tattoo of the letter M on my wrist so this would be really cool. You sound like a fan of Lori's work? Welcome and thank you for dropping in. Indeed this is open to folks all over our planet....send 'em on over. That Illuminated M is nice, I used it in a "Mother's Day" treasury on Etsy...M for Mother. artwork of Brad, Lori's brother. We actually own that painting, it's a beauty! The Smitten-Petite Brass Tapestry Locket is my favorite! 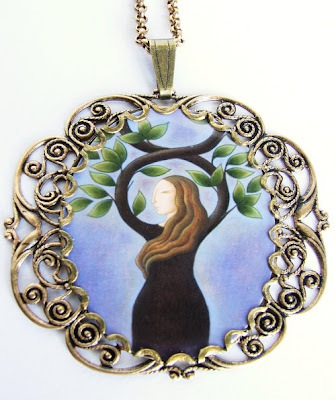 I love the Autumn's Alchemy- Art Pendant Necklace. The colors are stunning! Welcome Shanda, that locket is sooo pretty, I like it too! Cabootique, I bet the Autumn's Alchemy- Art Pendant Necklace would look great on you. Welcome. i love all the art necklaces. :D my favourite is the Windswept- Art Necklace-by John Waterhouse. I adore the Caged Heart-Brass Filigree Locket Necklace so ornate. Metallic Beauty-Real Butterfly Wing Necklace is lovely!!!! I love the Soar Above the Clouds-Real Butterfly Wing Glass Keepsake Locket Necklace. I think my favorite would have to be the Clear Glass Charm Locket-Pieces of You Collection. 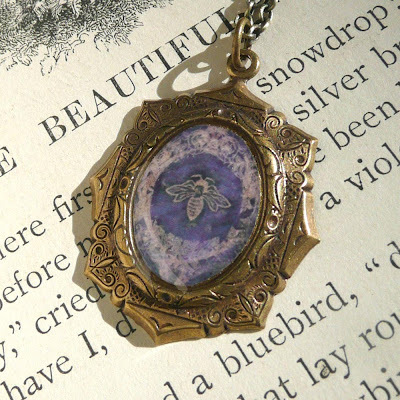 I love the butterfly wing keepsake locket. Monarchs have a special meaning in my life. Wow, thank you everyone who has journeyed here and left comments! I think the Butterfly Garden Art Pendant Necklace is gorgeous! Thank you so much! What beautiful jewelry!! I love the giveaway and I'm also loving the Caged Heart-Brass Filigree Locket Necklace. I'm always looking for unique lockets - and they're hard to find!! My favorite is the "Helping Hand" necklace! 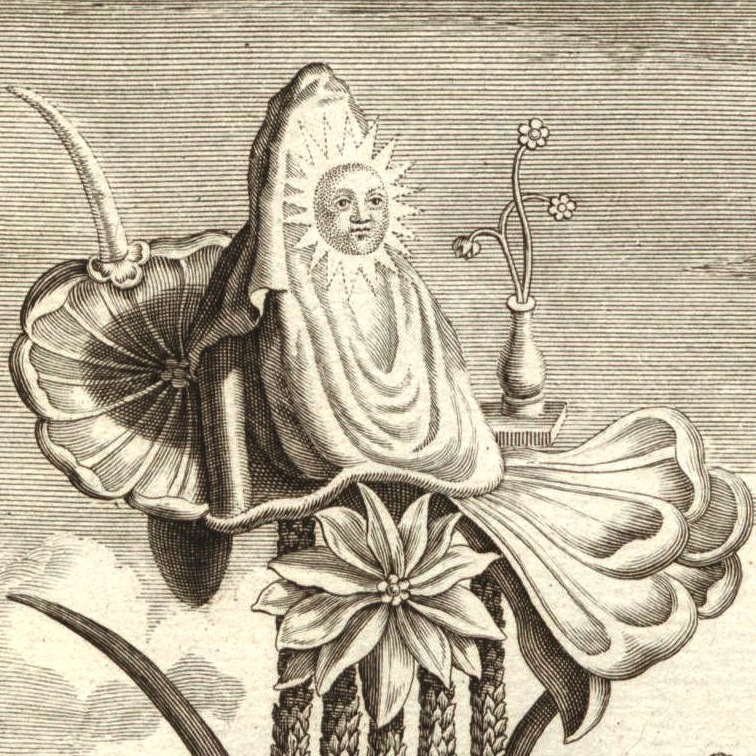 I like the Autumn's Alchemy piece. The art ones are very pretty! What a enjoyable and interesting interview with Lori! I truly enjoyed learning about the wonderful artist behind this amazing jewelry! I had so much fun browsing through all her exquisite jewelry designs after reading the interview, her pieces are so beautiful they kept my wanting to see more and more! I had such a hard time picking one favorite piece because they are all so unique but the Autumn's Alchemy- Art Necklace with Peridot Dangle necklace really caught my eye! If you ask me tomorrow, I may pick a different piece though, they are all spectacular! Thanks so much for the chance to enter. #1 - I am now following your blog. #2 - I am now following your blog. #3 - I am now following your blog. It's SO tough to pick a favorite...this beautiful work is just so unique! I really do love the Simplexity - Art Necklace with Peridot Stone Dangle. My Etsy user name is Nelsby. #1 - I am following your blog. #2 - I am following your blog. #3 - I am following your blog. #1 - I subscribed to the Heartworks by Lori newsletter. #2 - I subscribed to the Heartworks by Lori newsletter. #3 - I subscribed to the Heartworks by Lori newsletter. My favorite is the Dusk-Real Butterfly Wing Keepsake Glass Locket Necklace-Oval. 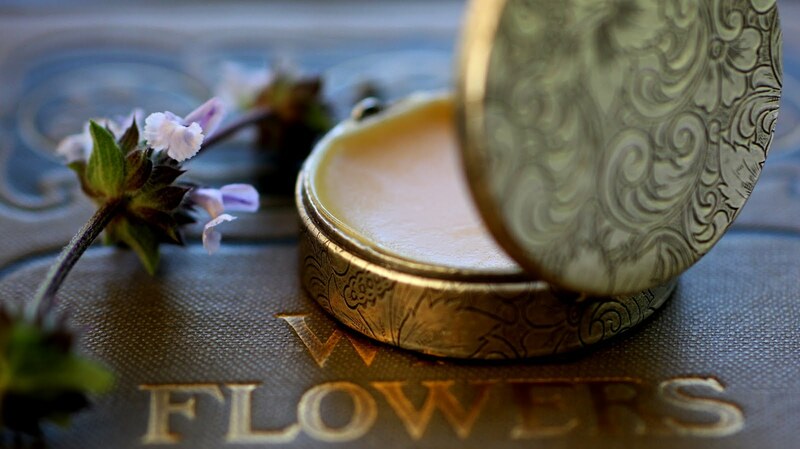 The Zen photo locket is my favorite -- please enter me in the draw -- thank you! Thank you to everyone who participated in this special giveaway with the ever so talented Lori Patton. I will gather up all the entries and have my daughter choose one of the slips. The lucky winner shall be announced at some point on Friday. Good luck and good night.